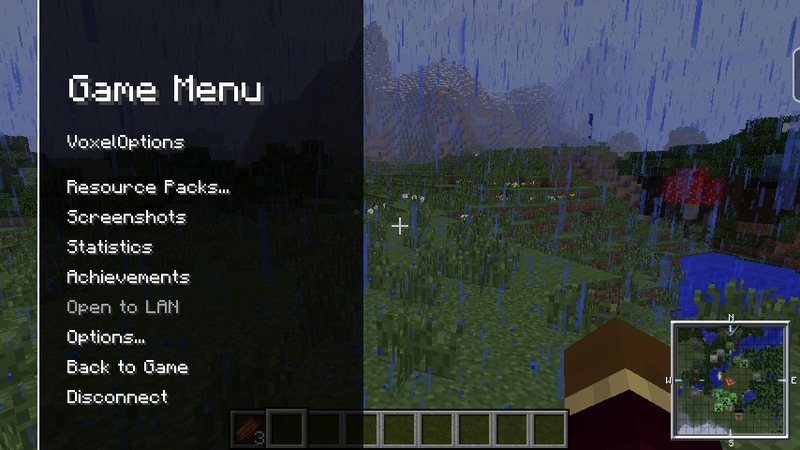 VoxelMenu overhauls the Minecraft menu system to vastly improve their visual appearance. 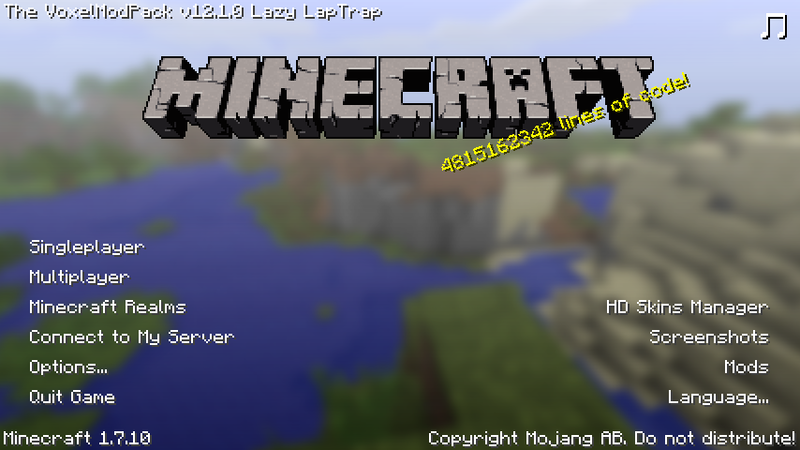 No more tiled dirt backgrounds, enjoy the panorama on all of your Minecraft menu screens! Screen transitions make navigation feel more fluid, and a re-vamped in-game menu unifies the in-game experience with the main menu's new style. This mod is only available as part of The VoxelModPack. A graphical user interface for WorldEdit. WorldEditCUI is designed to assist in using WorldEdit, as well as preventing accidental errors.A graphical user interface for WorldEdit. WorldEditCUI is designed to assist in using WorldEdit, as well as preventing accidental errors. VoxelGet is a lightweight, sleek looking item picker tool for creative builders and server admins. 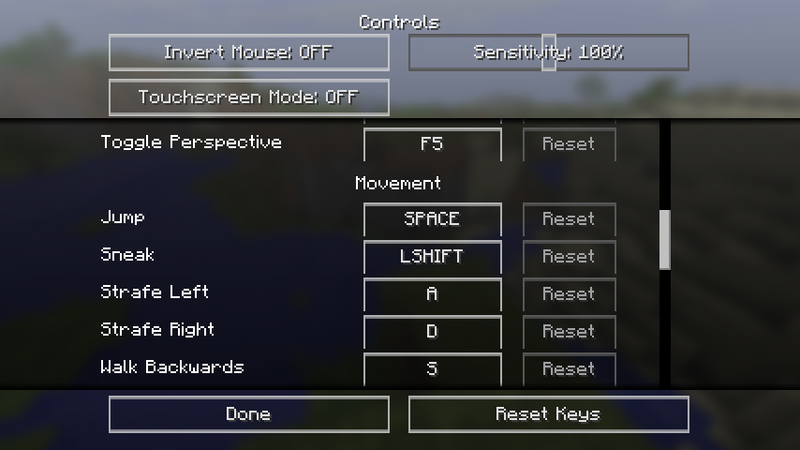 VoxelGet provides a quick and easy way to issue "give" commands on creative servers. Featuring helpful item sorting and searching functionality, and an easy-to-use interface as well as built-in item blacklist functionality to allow admins to lock down available items to a pre-set list.VoxelGet is a lightweight, sleek looking item picker tool for creative builders and server admins. 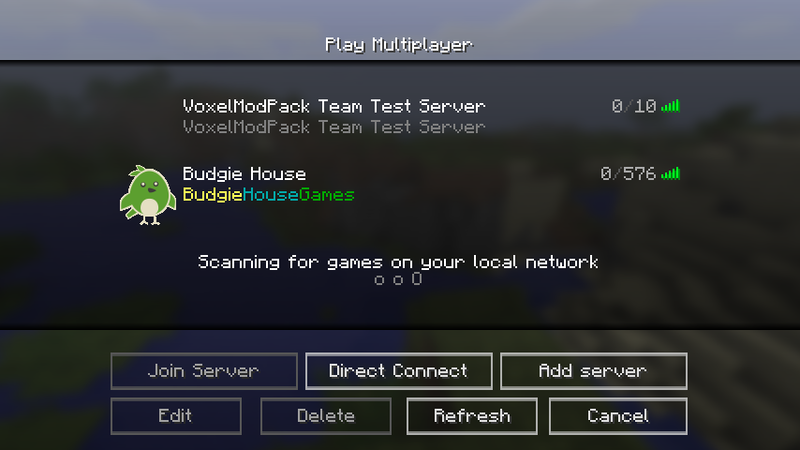 VoxelGet provides a quick and easy way to issue "give" commands on creative servers. Featuring helpful item sorting and searching functionality, and an easy-to-use interface as well as built-in item blacklist functionality to allow admins to lock down available items to a pre-set list.